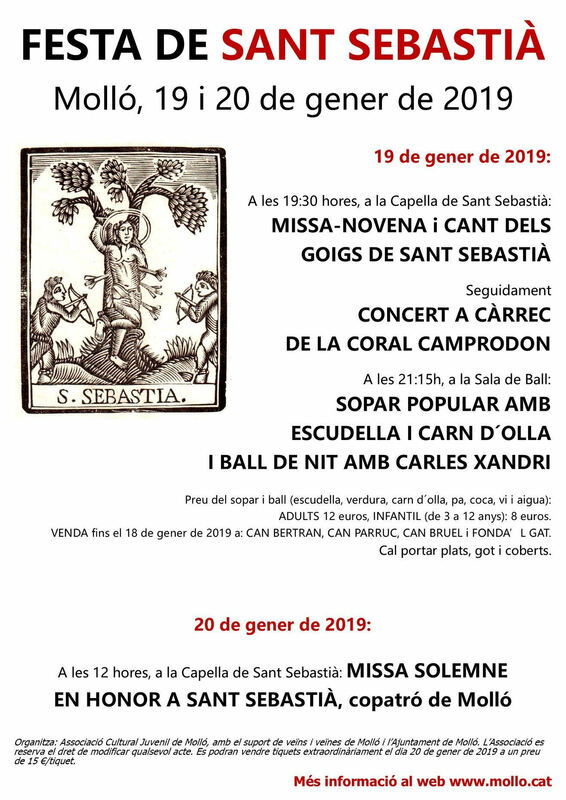 The next 19 and 20 January is celebrated the festival in San Sebastian Molló. 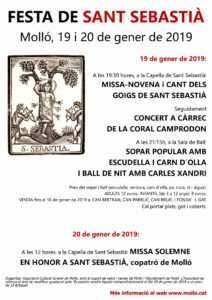 The events begin with the celebration of a Mass, to be followed by a concert by the Choir Camprodon. Finally, the first day will end with a festive supper. It's a good excuse to visit the town which is right next to the camping, it has a great cuisine, and has a church that is an obligatory reference in the Catalan Romanesque. If you have any questions, You go through the camping reception and will Infomar without any commitment. One must be logueado for leave a comment. Need an excuse to visit Beget? This weekend is celebrated.. The fair of herbs and flowers in the mountains is already a classic for all visitors of the Valley..